The city broke a 77-year-old mark for the hottest Dec. 2 on Saturday with a high of 84 degrees F.
The calendar has flipped over to December, but Phoenix still is experiencing record heat. The previous record was 81 degrees F in 1940. Last month was the hottest November that Phoenix has seen since weather records were first kept in 1895. High temperatures in December usually are in the 60s in Phoenix. National Weather Service meteorologists say cold weather along the East Coast is leaving the West hot and dry. Phoenix hasn't had any measurable rain since Aug. 23. Meteorologists say there's no rain in sight in the next seven to 10 days and no cool-down for at least another week. This fall is also the driest on record for much of northern Arizona. According to the National Weather Service, Flagstaff, Prescott and Payson have all received a half-inch or less of precipitation. It's Winslow's fourth driest fall with .22 inches and Page's fifth driest with .42 inches of rain. On the 20th of June 2016, a Phoenix-bound flight was forced to return to Houston because of 120F (49C) deadly heat as a 50-year-old heat record was shattered! 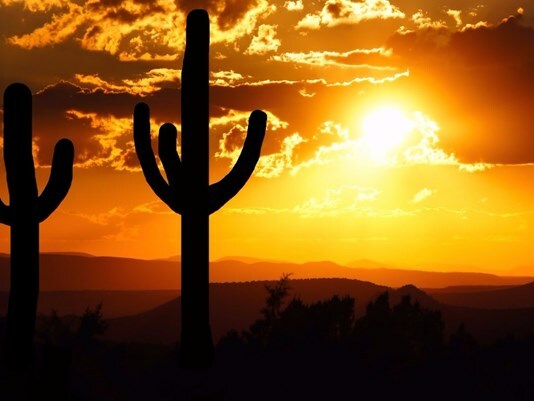 In June this year, Arizona was so hot that cactus was dying, and plastic melting as record-breaking temperatures persisted. In July 2017 record-breaking heatwaves turned the south-west of US into 'Dante's Inferno' as massive fires in California and Arizona was blazing out of control.